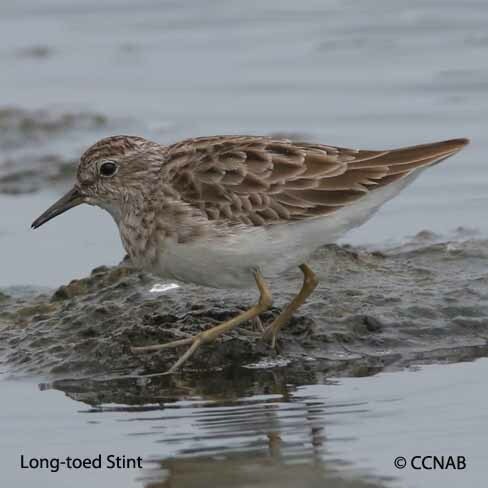 There has been at least four types of stints that have been seen in North America. The stints are not native birds to the North American continent but are recognized as vagrants. The four stint species are the Little Stint, Long-toed Stint, Red-necked Stint and the Temminck's Stint. The stints are small shorebirds who display a reddish-orange plumage in breeding season. This makes for the best time to identify these birds.